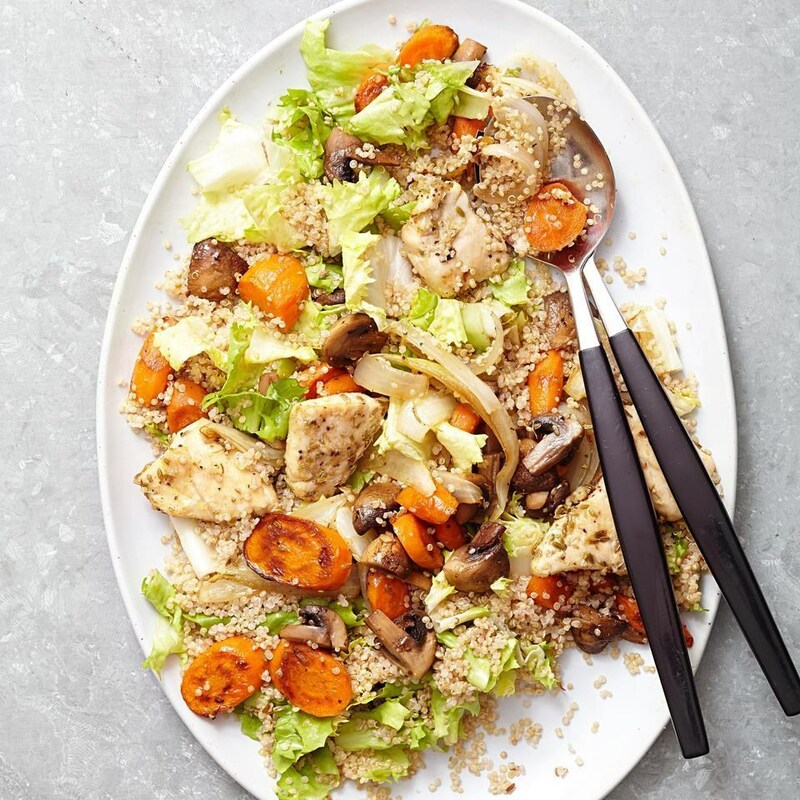 Mushrooms, carrots and onions are roasted with garlic and fennel seeds in this roast chicken and quinoa salad. 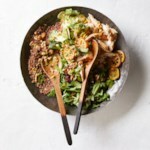 Preparing the quinoa with a little less water than is typical makes it cook more quickly and keeps it fluffier‚ perfect for soaking up the sherry-vinegar dressing in this salad. 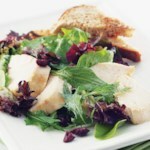 Serve with garlic-rubbed toast. Mash garlic and ¾ teaspoon salt into a paste with the side of a chef's knife or a fork. 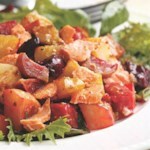 Transfer to a large bowl and whisk in oil, 2 teaspoons fennel seeds and ¼ teaspoon pepper. Combine mushrooms, carrots and onion in a medium bowl. Drizzle with 2 tablespoons of the oil mixture and toss well to coat. 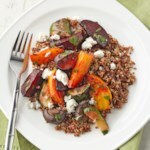 Spread the vegetables on a large rimmed baking sheet. Roast for 10 minutes. Meanwhile, combine water and quinoa in a medium saucepan; bring to a boil. Cover, reduce heat to maintain a simmer and cook for 10 minutes. Remove from heat and let stand, covered, for 5 minutes. Combine chicken, 2 teaspoons of the oil mixture, the remaining 1 teaspoon fennel seeds and ¼ teaspoon each salt and pepper in the medium bowl. Toss to coat. Stir the vegetables and nestle the chicken among them. Continue roasting until an instant-read thermometer inserted into the thickest part of a chicken tender registers 165°F, 8 to 10 minutes more. Whisk vinegar into the remaining oil mixture. 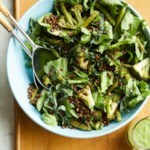 Add escarole (or endive) and the quinoa and toss with the dressing. 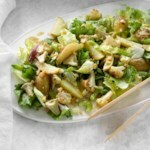 Serve the salad topped with the roasted vegetables and chicken.